Bombstrike leads her covert team JOE special operators in a desperate search and rescue mission to save the enigmatic Agent Helix in the second chapter of living legend Larry Hama and superstar artist Netho Diaz’s latest bombastic team-up! Plus, Ryan Ferrier and Kenneth Loh dive deeper into Helix’s origin in ‘Codename: Helix,’ Part 2! 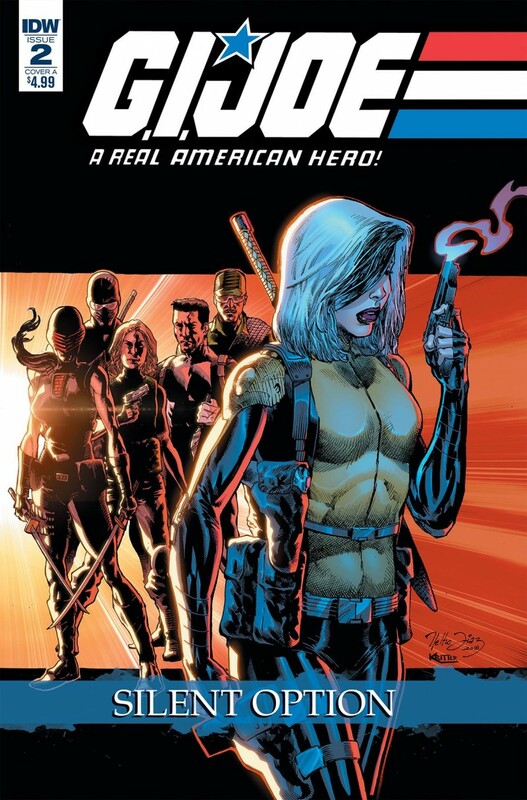 The return of breakout character Dawn Moreno (Snake Eyes) to the pages of G.I. Joe: A Real American Hero! The introduction of Agent Helix to the G.I. Joe: A Real American Hero universe! Each oversized issue includes the 20-page main story by the ‘Dawn of the Arashikage’ superstar creative team of Larry Hama and Netho Diaz, and a four-page backup ‘Codename: Helix’ origin story by Ryan Ferrier (G.I. Joe vs. Six Million Dollar Man) and Kenneth Loh (Dead Rising: Road to Fortune). A great jumping-on point for new readers! Self-contained canonical mini-series that takes place within the G.I. Joe: A Real American Hero continuity!